I love your kind and very thoughtful comment! Thank you so much & cheers to you! Awesome! You must have a very nice long lens! 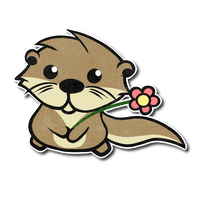 I’m coming back as a batchelor otter! Tee hee hee. 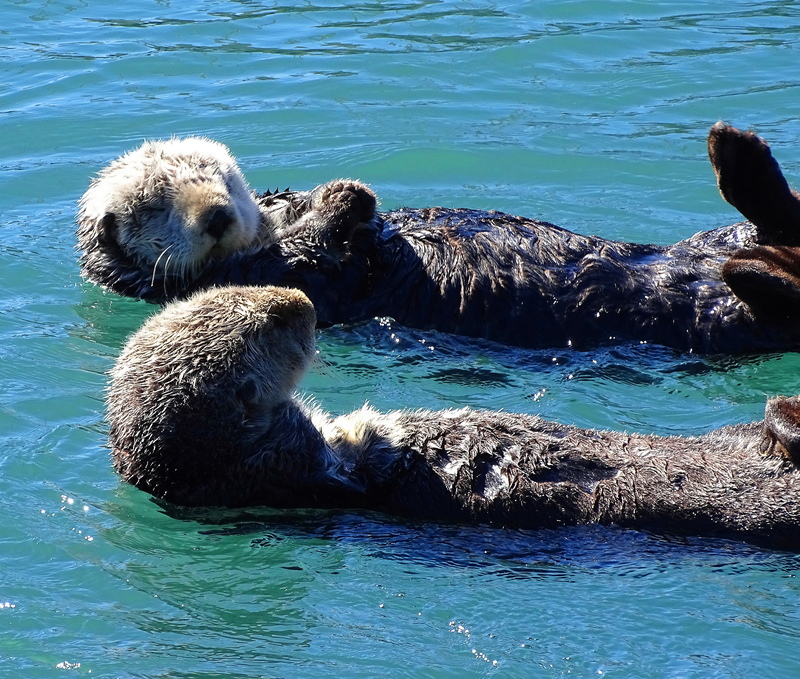 They just float off into Morro Bay whenever they feel like it. I watched them! The pictures are delightful. 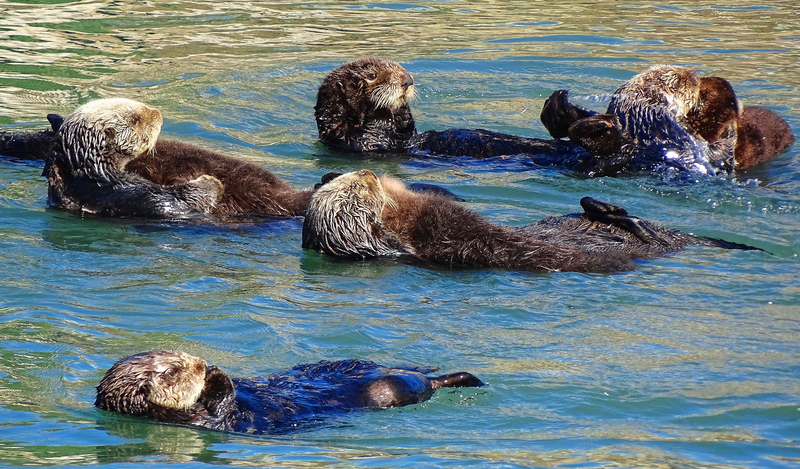 Sea otters are such fun animals. I am very pleased you like them and cheers to you! Beautiful, Cindy! 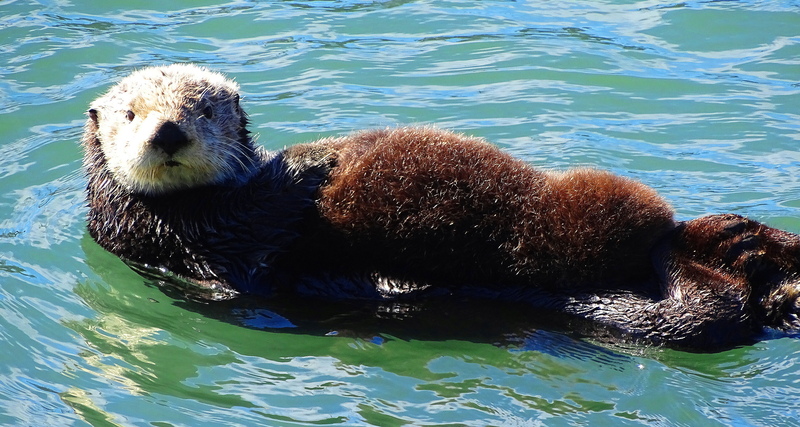 I have always really enjoyed watching both sea and river otters. 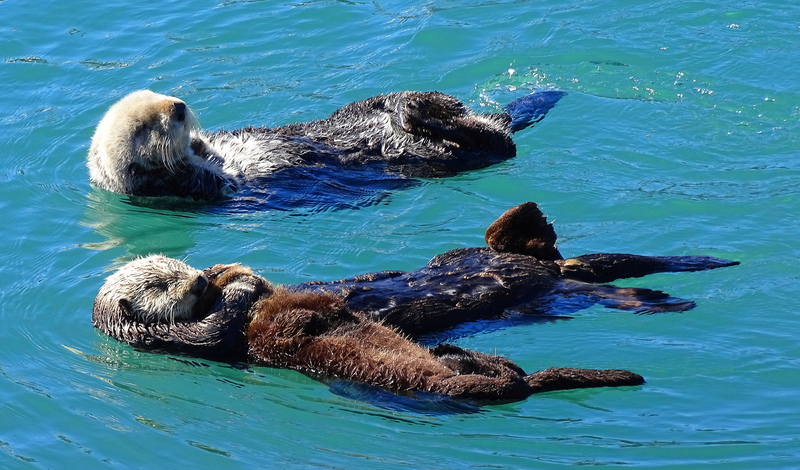 They seem to know how to enjoy life…and we need to make sure they will be able to continue doing just that. What a delightful photo session that must have been for you, Cindy. 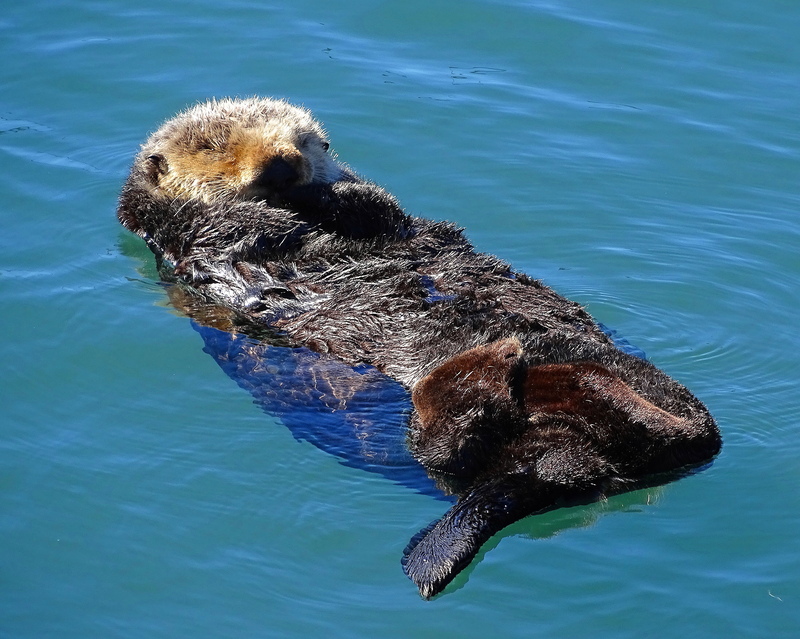 Love your entire series of wildlife posts – grizzlies, seals, birds, and all! These photos are gorgeous, Cindy. I’m glad the population is coming back, though still not out of danger. It is hard to imagine harming them. They are curious and weren’t trying to avoid me. They let me get close. I am glad you like them! Amazing photos, what adorable animals, so cute. I am so sorry I missed this comment. It was in my wordpress spam filter. Thank you so much for your very thoughtful award, I appreciate it sincerely and regret that due to time constraints, this is an award free blog. I do so appreciated your kindness though. Thank you. 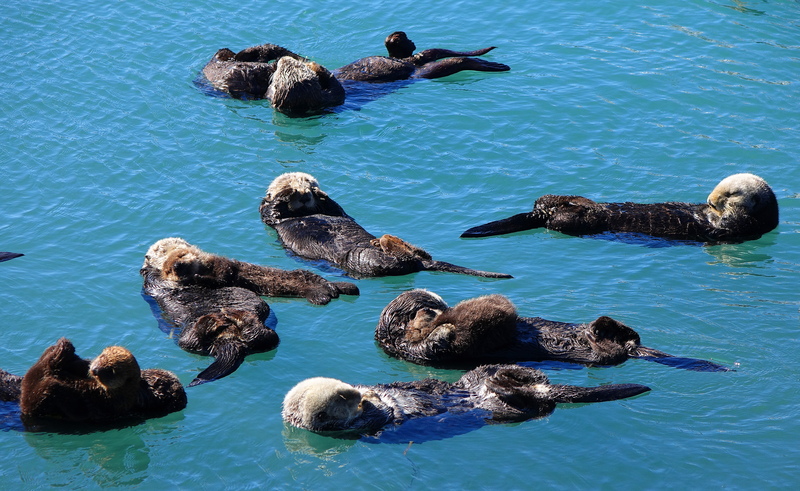 I never knew that there was so many types of sea life in California. Very interesting post, Dinata. Thank you! There are a lot of wild creatures left in California thank God. They are so much fun to seek and find! Great shots, Cindy. I love those babies floating with their mothers! Their faces are so expressive. They are so cute it is ridiculous and they are expressive which is why it is so easy to make up stories about them! 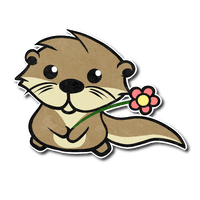 Who couldn’t love otters? 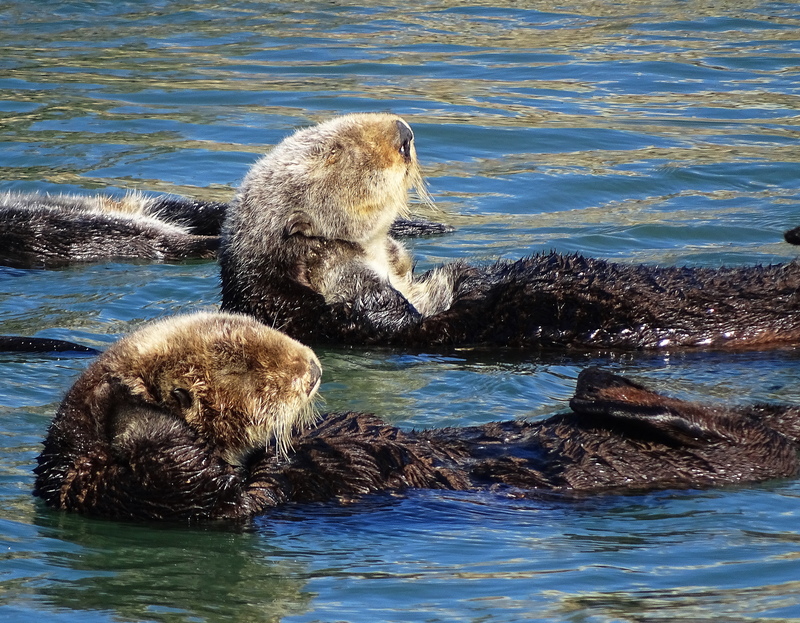 They can imitate canoes and dining tables – all the time looking so cute. This comment was in my wordpress spam filter. I am sorry I missed it and yes they do indeed like these things, except cuter! I think we otta listen to you cuz! Floating around, sleeping and eating definitely works for me. We pay to do this on vacation for heaven’s sake! We pay to go on vacation to do what they are doing! I am squeaking with joy! They are the prettiest little critters. I saw them in the distance at Monterrey but your photographs are fantastic. 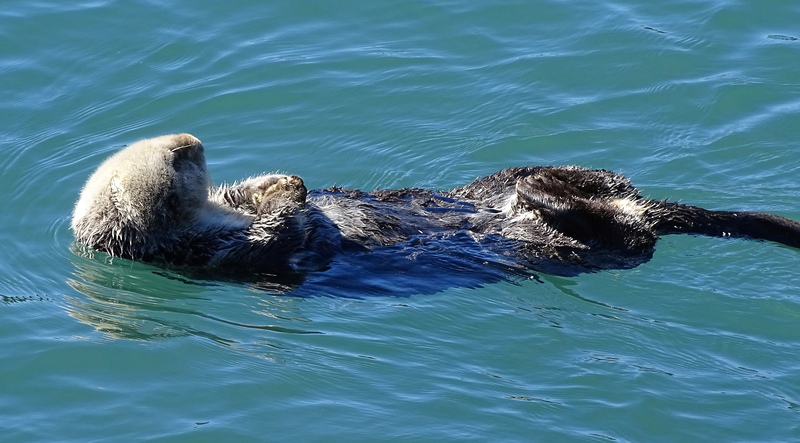 I never tire of watching or hearing the otters no matter the time of day. I could step out the back door of my office and here them at play just over the sand dunes. 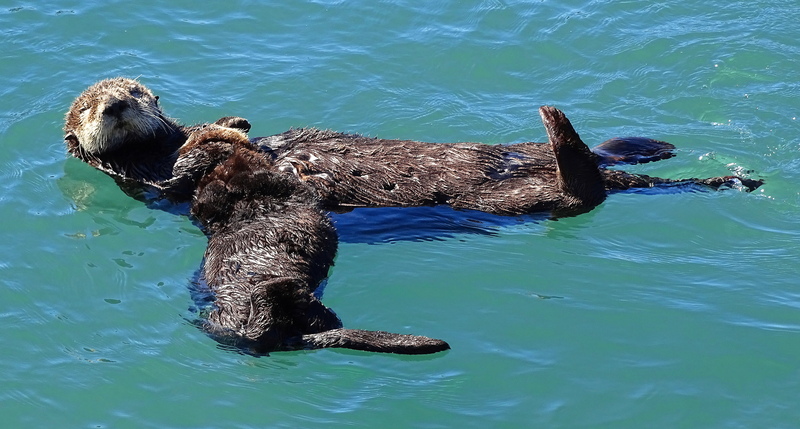 The otters were such a part of living in and around Monterey/Carmel. Their faces! They remind me of Mr Magoo! 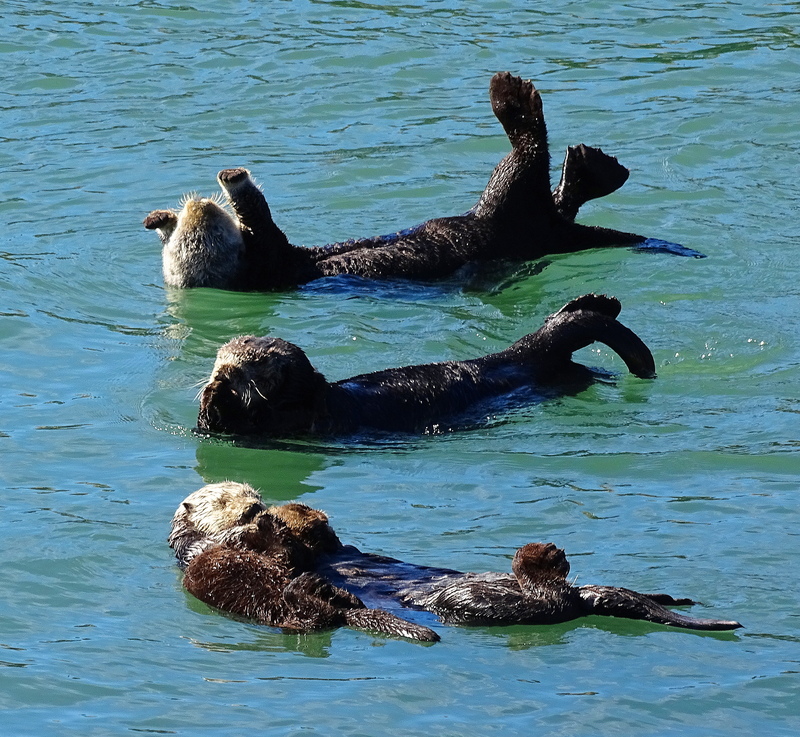 One of my earleis memories was my parents taking me up to Montarey to see the Sea Otters. So lovely of you to say and I am very pleased to meet you! What an awesome thing to experience. Oh how magical! I have only caught glimpses of river otters. They are so playful. Wonderful to have one visit you regularly! He is a special treat, Cindy 🙂 Brings a smile to all!! They have distilled life down to it’s most important elements! Yes we otta! So adorable 😊. Oh, my daughter’s FAV…I must pass this along. So CUTE! Hope it makes her smile!